Received in reply to a comment at another thread. -Eds. ODT has balls! Amid the tribulations there is something to celebrate. 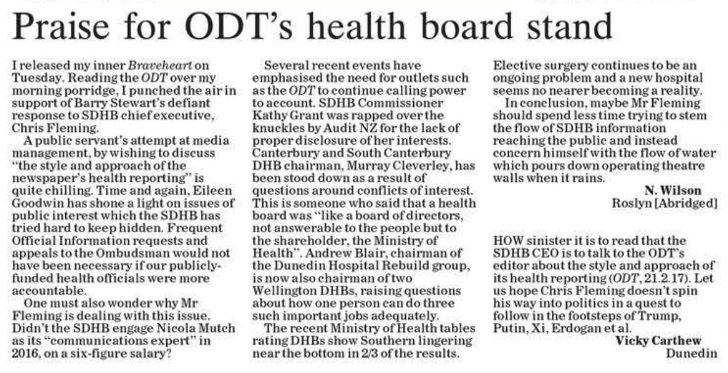 The Southern DHB new chief executive has told MPs he plans to meet the editor of the ODT to discuss the “style and the approach” of the newspaper’s health reporting. Somehow I doubt if this meeting is so he can tell the editor how pleased he is with the ODT’s tactful acceptance of whatever shreds of info are presented to them by their official communicators. and if there’s any spinning to do that’s what the middle finger is about: it’s not the ODT’s job to be PR flacks for anyone. The last thing we need is media weakly agreeing to only print nice stories provided by overpaid SDHB dys-communicators. Figures put out to trumpet the Southern District Health Board’s success reveal the extent to which it has slipped behind the rest of the country, Labour health spokesman David Clark says. […] Except for cataract surgery, the SDHB’s increases were markedly lower than the national increases, despite the area’s older age profile. 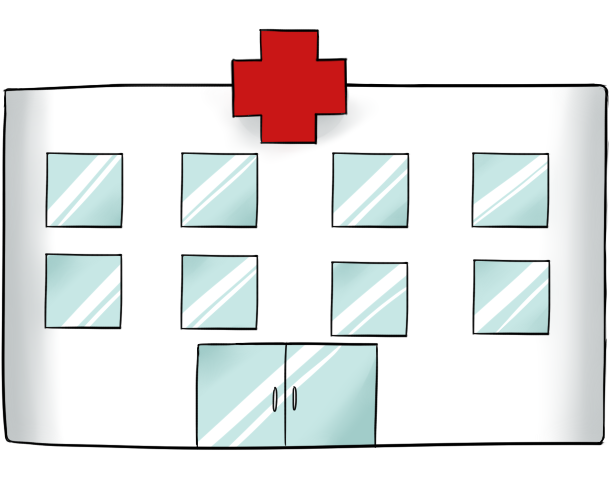 ● Orthopaedic surgery volumes at the SDHB rose 19% over eight years, but nationally, that figure was 26%. ● First specialist assessments (FSA) rose 16%, compared with 37% nationally. ● The SDHB outstripped the national increase in cataract surgery with a whopping 65% increase, compared with 29% nationally. SDHB commissioner Kathy Grant did not respond to a request for comment. “SDHB commissioner Kathy Grant did not respond to a request for comment.” That’s the thing about govt appointed commissioners, they KNOW they’re only answerable to their masters, everyone else can get a clear view of their middle finger held aloft. I’m amazed the vocational staff dedicated to patient care and treatment at Dunedin Hospital are still holding on, but for how much longer with dickhead change managers and commissioners playing their usual games. Jesus weeps. Go Marilyn Little, get your cattle prod onto the job.